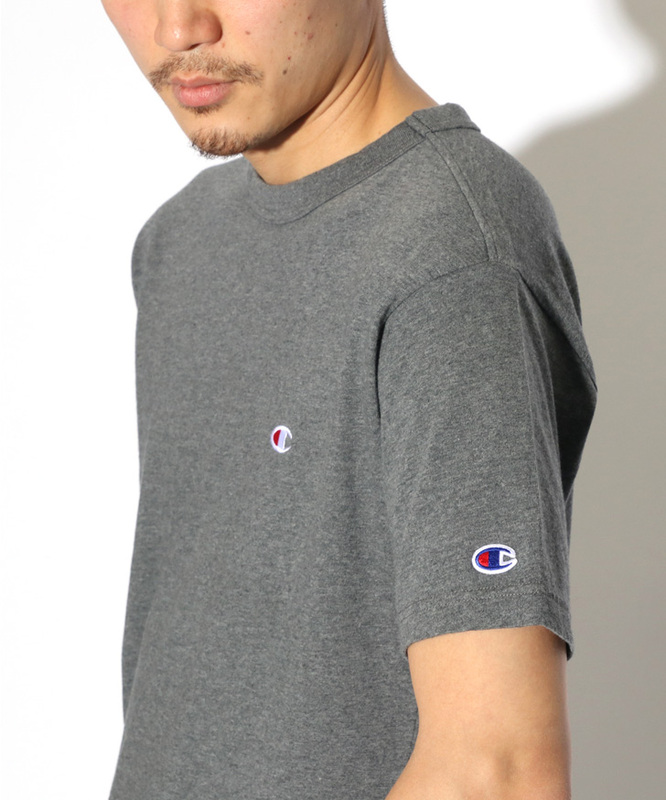 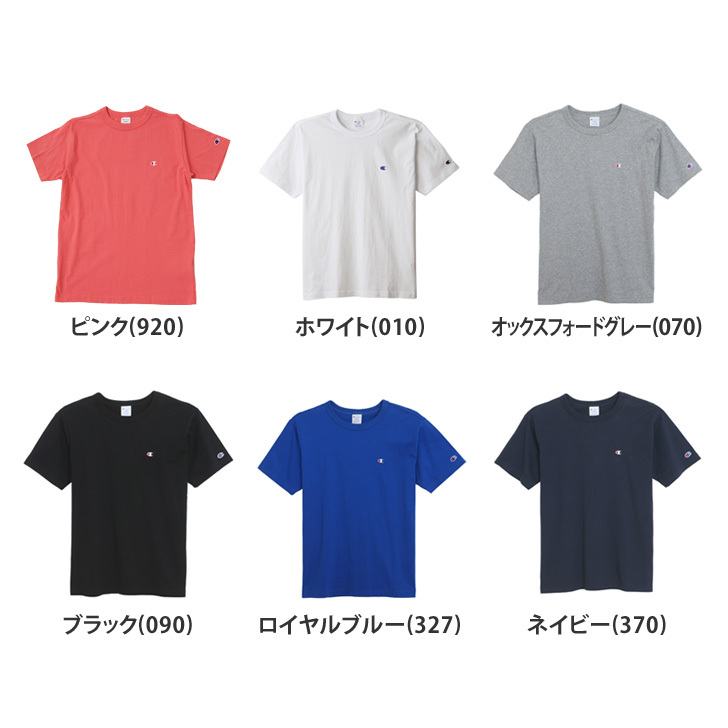 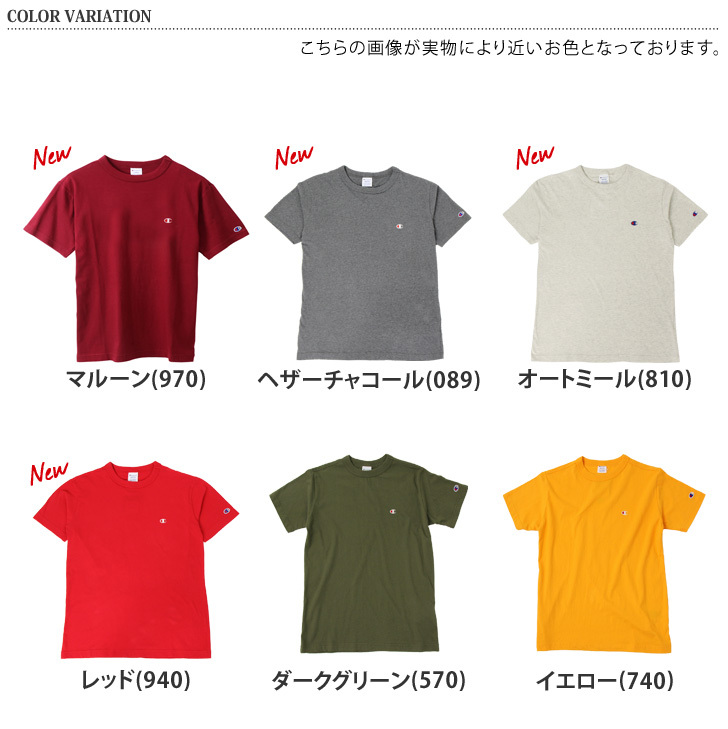 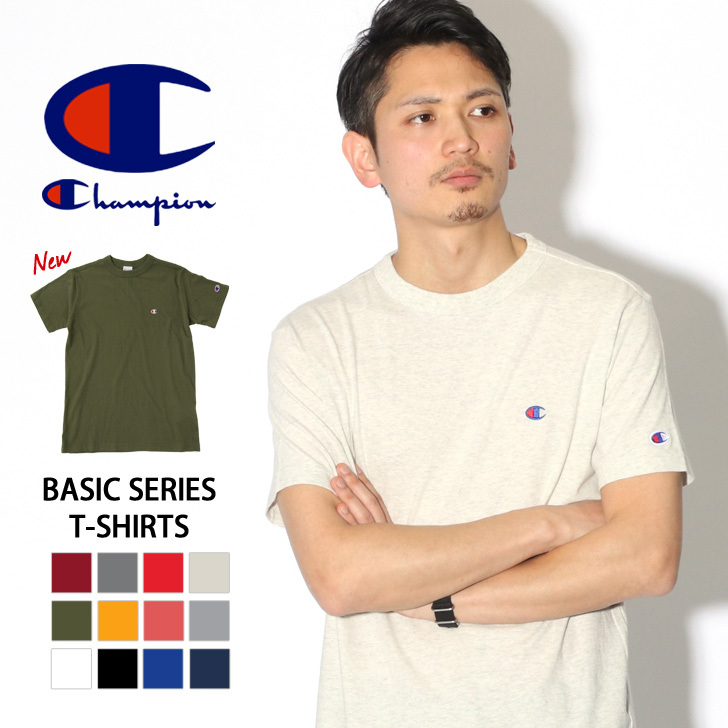 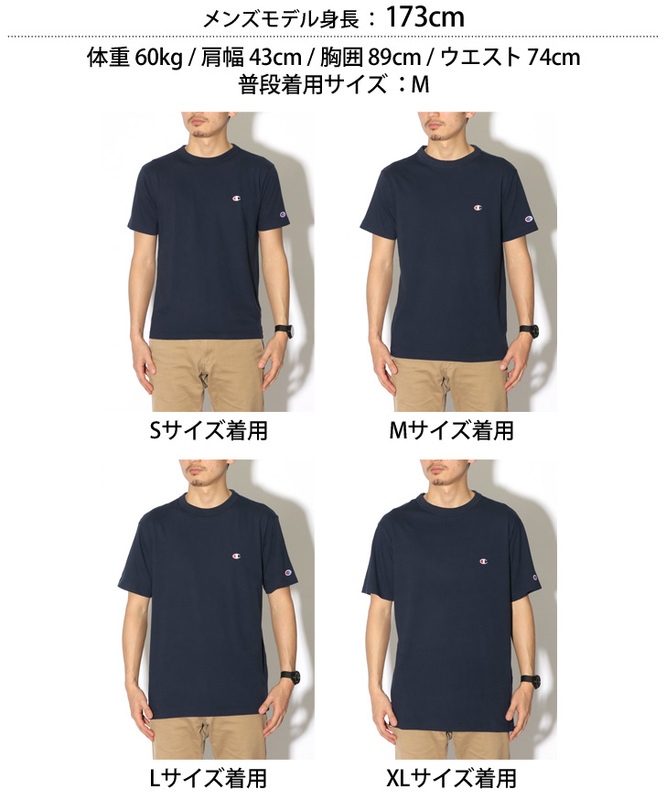 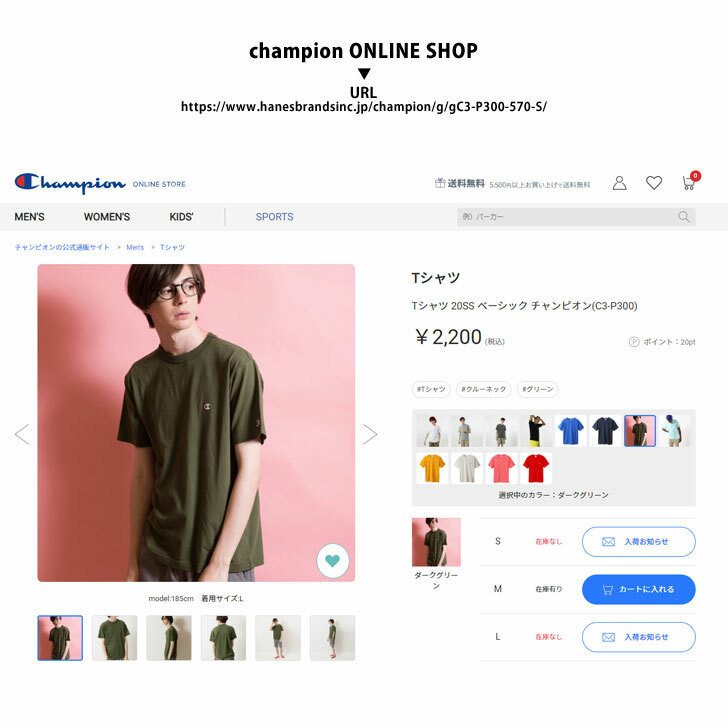 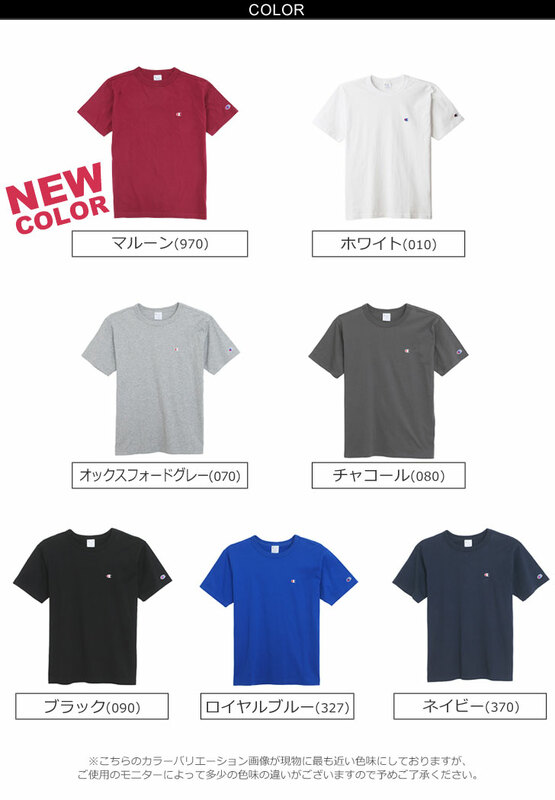 From champion is the emergence of the Basic series T shirt C3-H359. 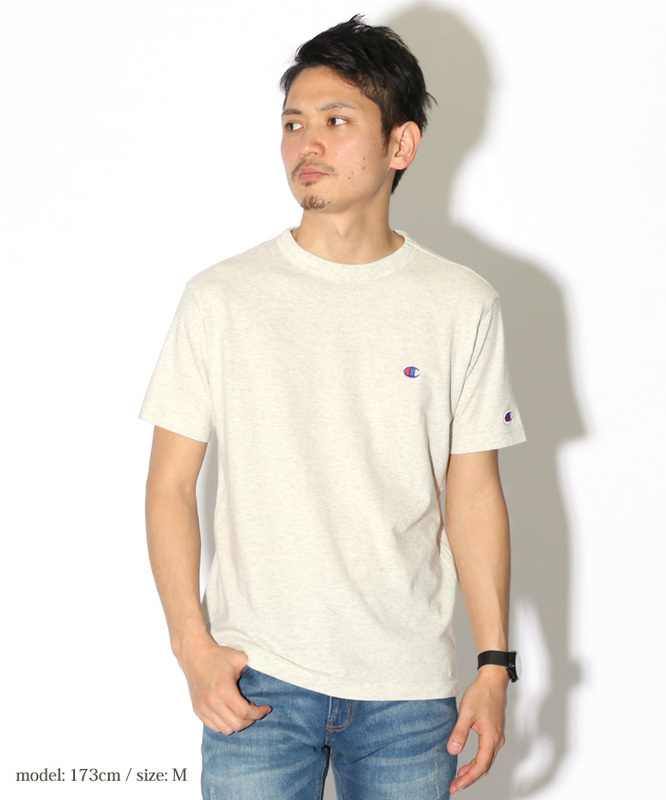 Simple principle individualism, but high-purity. 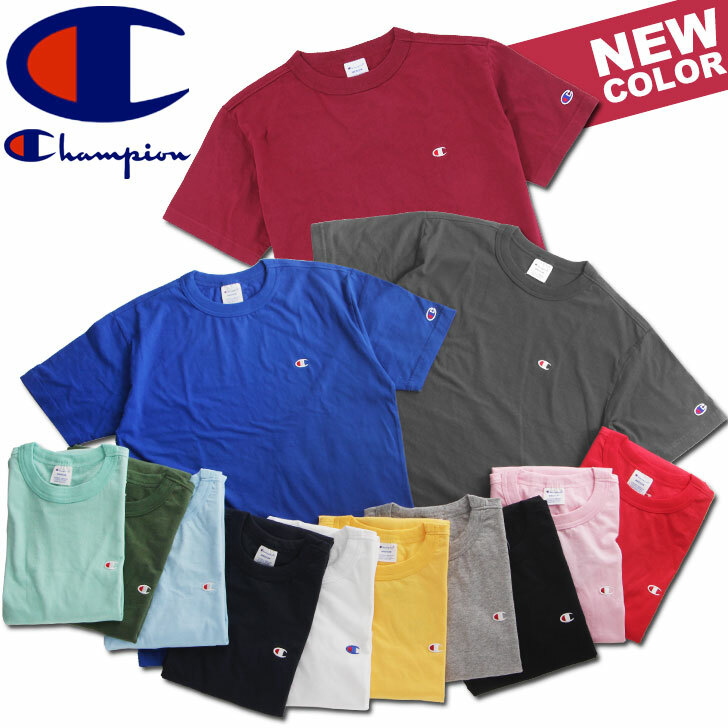 It is a model were released to more easily enjoy charm of the Champion. 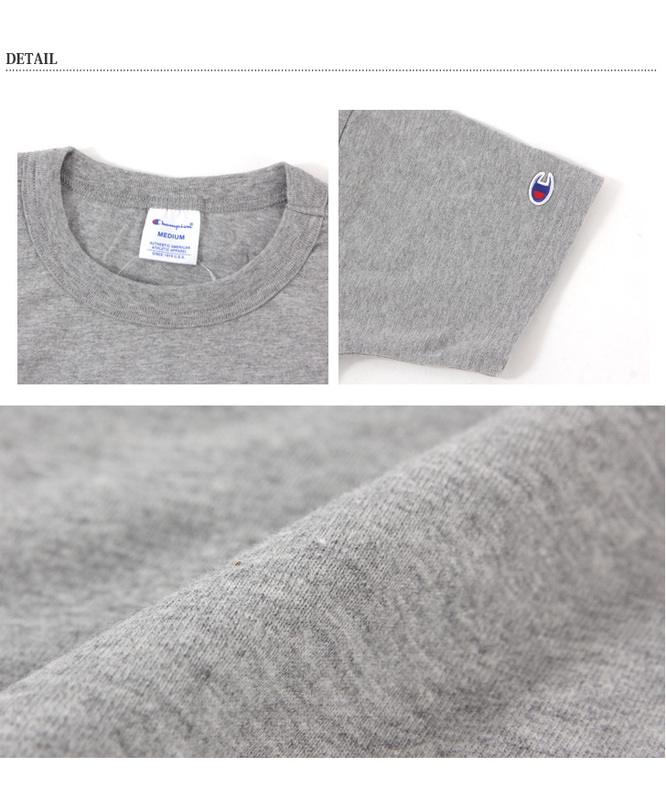 After sewing products to wash (washed) in finish, are seeking the expression of real clothes. 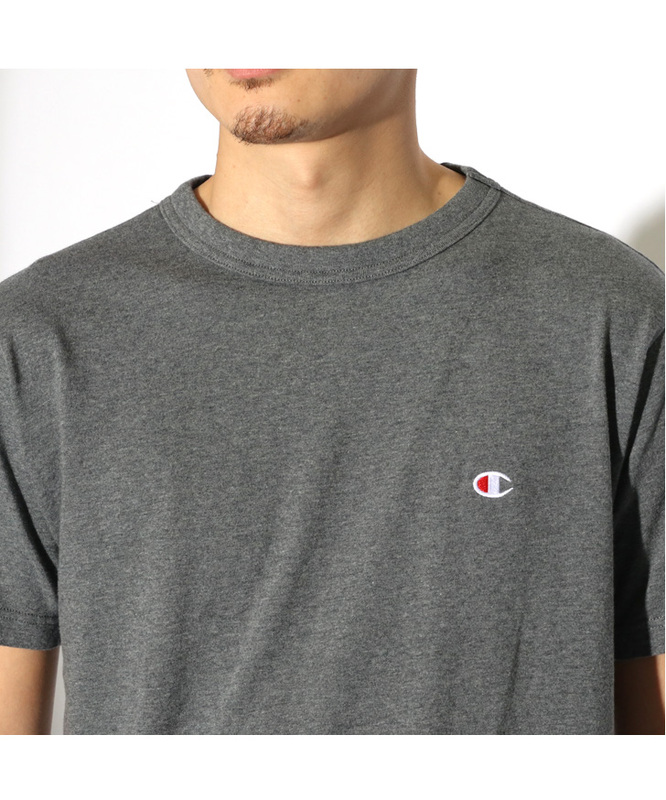 Left chest champion C logo embroidery. 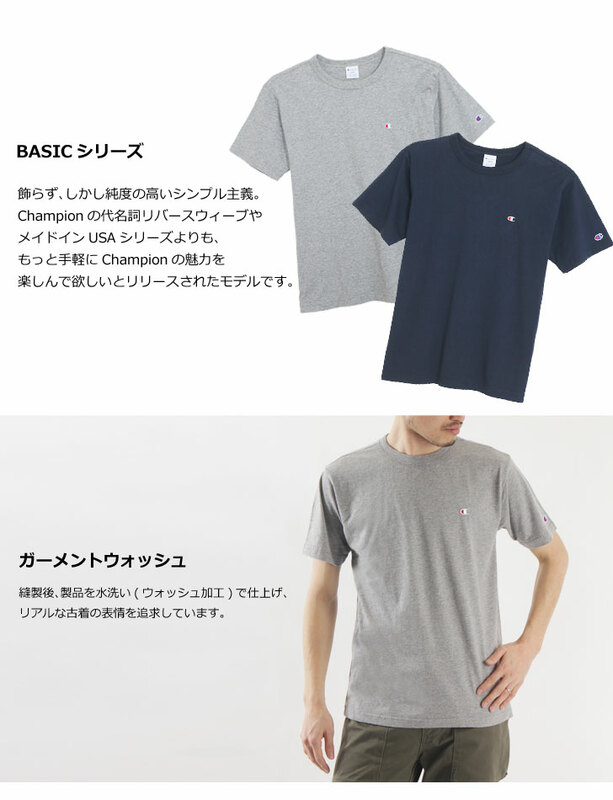 Difficult stretches neck in neck Binder specification, you can use it habitually. 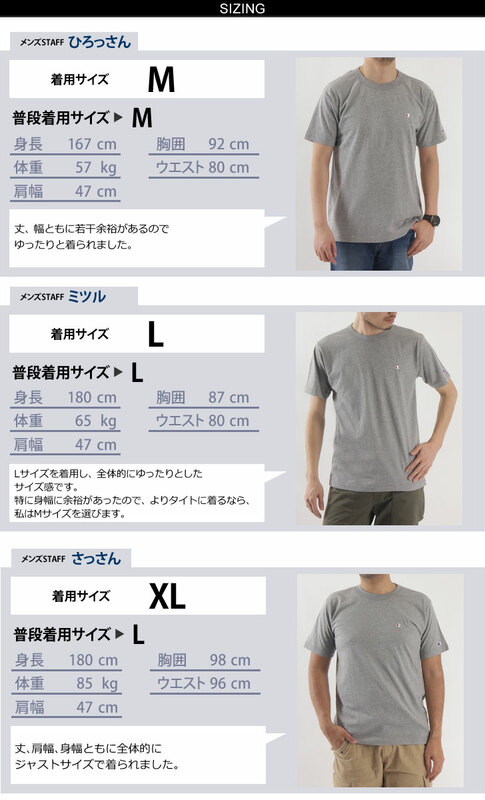 The above size chart to measure staff, we posted the actual size of the product. 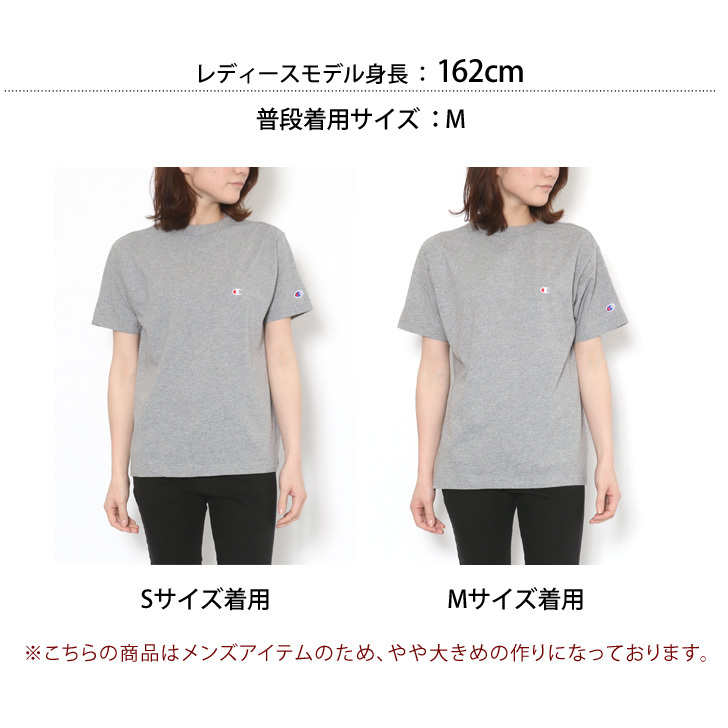 Please note that each product release size and some errors may control.